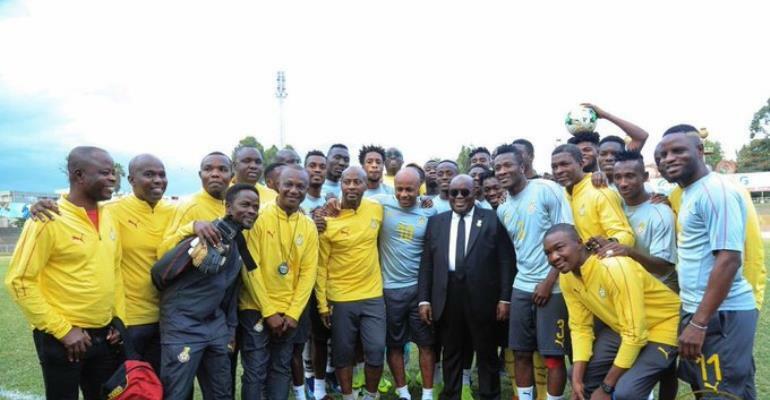 President Akufo-Addo has charged the Ghana senior football team, the Black Stars to win the 2019 Africa Cup of Nations trophy after their final qualifying match against Kenya in Accra. The Black Stars beat Kenya a goal to nil on Saturday, March 23, 2019, at the Accra Sports Stadium with Caleb Ekuban climbing off the bench to score the only goal as the Black Stars finished qualifiers as Group F winners. He hit a first-time left-footed shot from just inside the box, the effort proving too strong for goalkeeper Matasi. “Warm congratulations to the players, coach Kwasi Appiah and his technical team, and the management team of the senior national football team, the Black Stars, on Saturday’s victory over Kenya.” he shared on Tweeter.